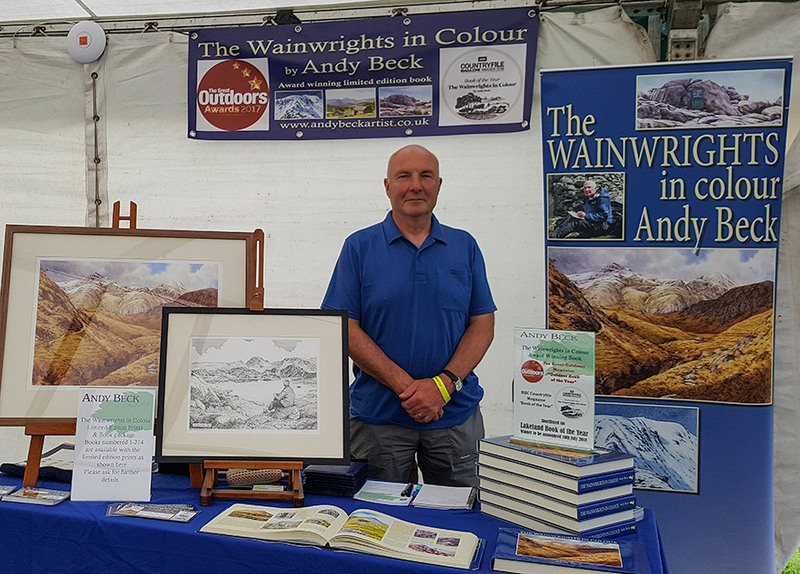 You may recall that last year I was invited to be one of the main speakers at Keswick Mountian Festival which was a real honour and to make the best use of the weekend we decided to have a stall in the trade marquee to meet people and of course sell copies of The Wainwrights in Colour. All was going well until the weather took a turn for the worse on the Saturday evening which lead to the closing of the site on health and safety grounds on the Sunday. A bit of a washout to say the least. Well I decided to give it another go this year so on Friday morning we headed over to set up at Crow Park on what was a glorious sunny morning, boding well for the weekend ahead. With the help of my other half we soon had the stall organised and set up for the weekend activities including some new banners made especially to highlight the recent awards for the book. Doors to the event opened at 12 and soon the place was starting to buzz with visitors. 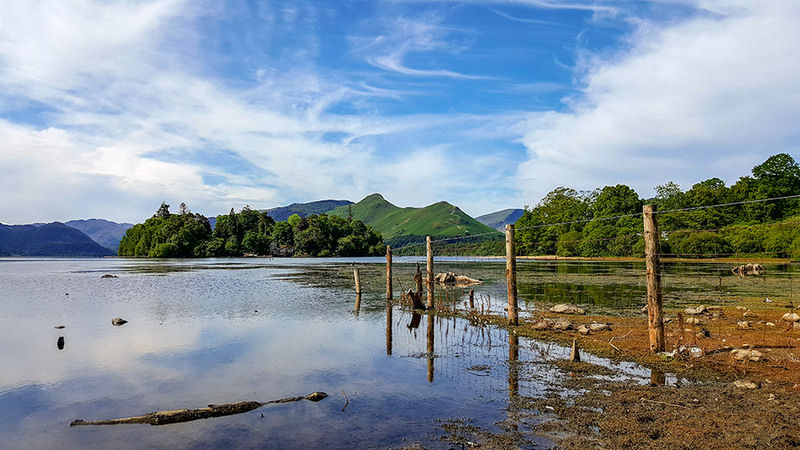 And so it continued, the fine weather lasted over the three days, only broken by a couple of heavy showers on the Saturday and Sunday which helped to freshen the air. Apparently about 20,000 people visited the event and there was almost a continuous flow of people coming up to the stand, browsing through the books, asking questions and thankfully purchasing their copies. Anyone who knows me will realise just how passionate I am about this project and the book. After ten years of hard work the task is reaping rewards and getting recognised through the book. By the time the event closed on the Sunday evening we were pretty shattered, standing up all day and chatting to folk is great fun but it does take it out of you, or maybe I am just getting old. The glass or two of wine on the Sunday evening at home went down a treat. Monday and Tuesday saw me processing all the orders that were taken over the weekend. I had offered a deal on postage and packaging at the event to save customers having to carry a heavy book around the festival and this offer proved popular. 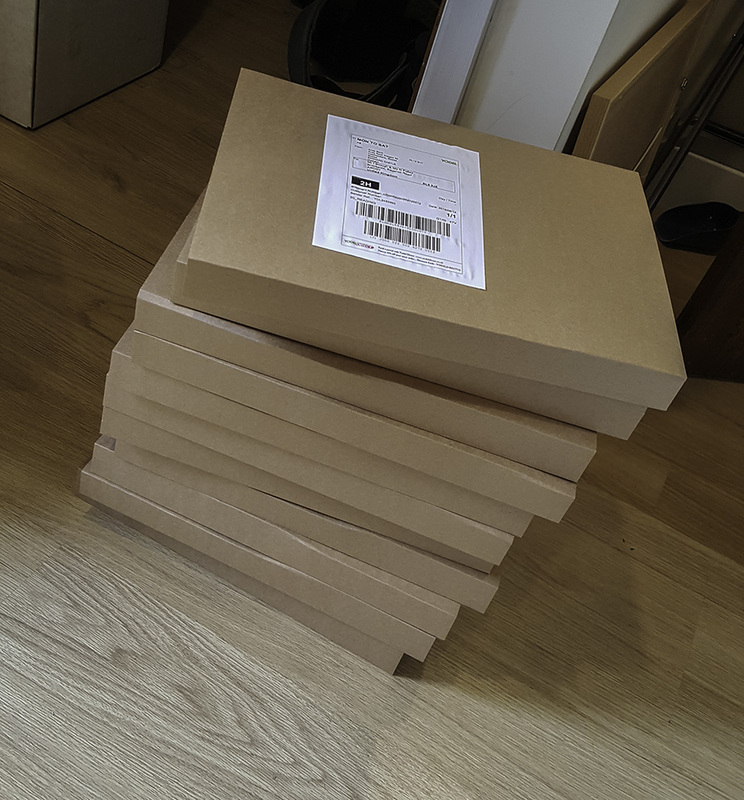 Several stacks of books have been sent out via courier over the last day or two and should be with customers soon. All in all a great weekend, no tramping through mud this year. Thank you to everyone who came up and showed interest in the book and especially to those who had bought a copy previously and came especially to say kind words about The Wainwrights in Colour. Lastly I should mention that I was sent an email recently to inform me that The Wainwrights in Colour has been shortlisted for the Lakeland Book of the Year Award. I am honoured that once again the book has been deemed good enough to even be considered for such a prestigious prize. I am there with 14 other worthy books so fingers are crossed. The awards will be announced on the 10th July so watch this space.